The club has two entries available to any Eryri member who wishes to compete in the “VIRGIN LONDON MARATHON” Sunday 13th April 2014. Club entries MUST be registered by 5pm on 17th January 2014. Please see photos of last week’s Christmas Fun Run, very kindly passed on by Jan Davies. A great day in beautiful but windy Builth on Saturday, the rain held off and the sun even shined until the end of the Men’s race! The course is definitely a good one – wooded single track, grass slopes and the standard flat (ish!) straights, so it was an enjoyable run too. It’s always a good chance to work hard, and it paid off – Wendy Trimbel was 4th in her category (6th overall), completing the 5.1k course in 29.07, I managed a top 10 position of 9th in the Senior Women’s race (24.09). 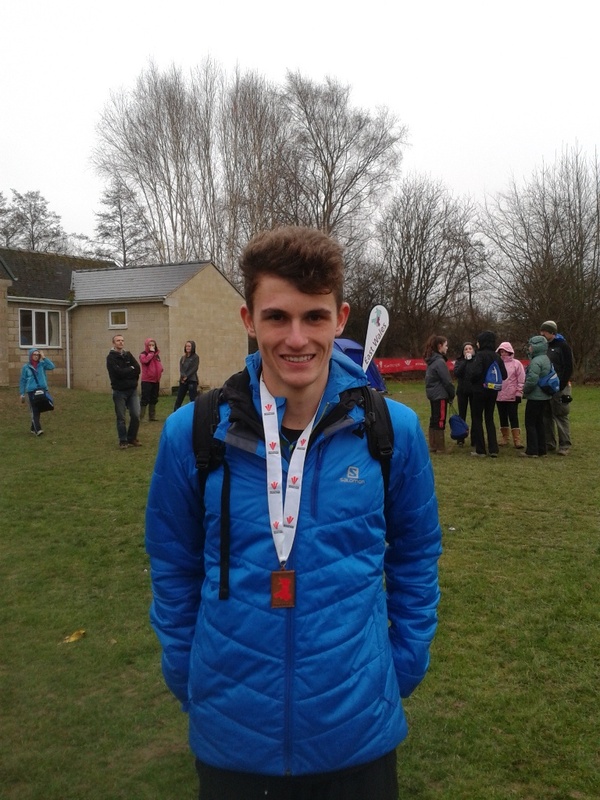 Also completing 2 large laps (6.1k), Nathan Jones was a fantastic 3rd overall in the U20 category (21.40). Last but not least, Dan Kashi battled the enduring wind and rain, completing the gruelling 10.06k course and coming in (TBC) 14th! Not everyone selected could make it due to various commitments, but very well done to everyone who did! Overall team results (and any updates to the above) to follow when available. 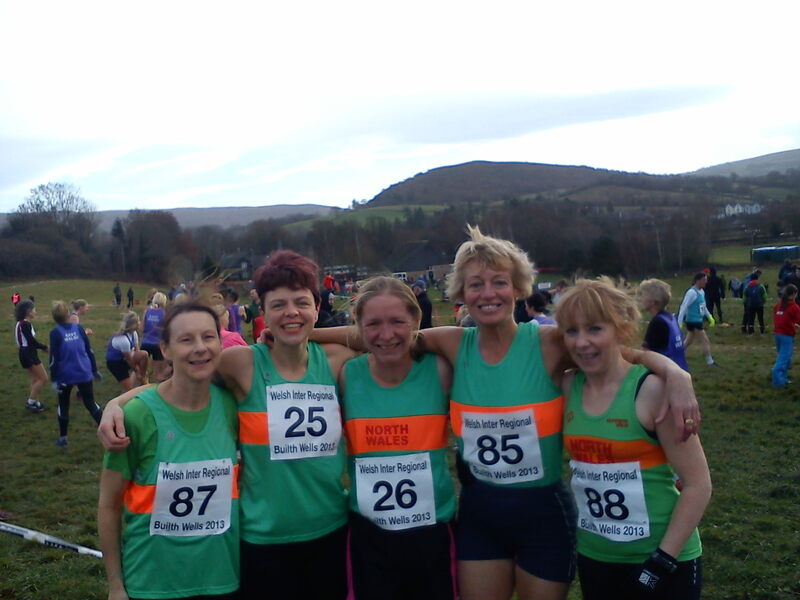 There is ALSO the last North Wales Cross Country League fixture of the season on 8th February 2014 (Marches School, Oswestry). Let’s get a good representation out at these next ones. Any questions (or if you just want persuading that cross-country is a great team day out! ), contact Becki Law (mobile: 07922968636, email: bex85@msn.com), or see me at the fun run. Eryri Road Running Champion Brendan Rothery ended the year in style by winning the 2nd race of the Borders Road Running League 2013/14 season at Wigg Island near Runcorn on Sunday 15th December, winning the fast 3 lap 5.5mile race ahead of Deeside’s Lee Jones to lead the overall standings after a 3rd place finish in the 1st event at Tattenhall. 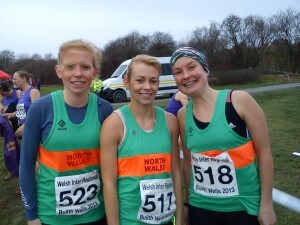 As well as Brendan, there were 5 other Eryri Harriers amongst the near 300 runners competing: 56th Arwel Lewis. 131st Dilwyn (Winnie) Rowlands. 143rd Kean Rowlands. 187th and making her debut in the League, Sandra Rowlands followed by 282nd Roy Jardine. 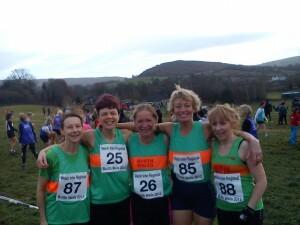 Overall, a well organised race by Helsby Running Club on a new and interesting course. It’s time to get organizing the annual trip to Northern Ireland for the British champs race on March 29th. This year’s race will be a new race and up a new mountain for many – none other than Northern Ireland’s highest peak – the 850 metre Slieve Donard. The race will be a classic short measuring in at 7.5k / 4.7 miles with a monster 850 metre / 2789 feet of climb, starting and finishing in Donard Park in the town of Newcastle. Historically there has been a big Eryri crowd of 20+ heading over to race so a good chance to race in a new area. The post race party is always a big highlight! Providing we fill them, the cost is usually very cheap and are an excellent location, a few miles from Newcastle and on the coast. So get in touch if your interested – quickly, as trip often fills early. Bit late in reporting on this one as only just found the results but considerable success for a number of Eryri numbers! In a bumper field of 228 runners in this 10 mile mixed trail / fell / woodland race ran from the Ludlow area, Eryri’s Rich Roberts took the victory in a good time of 67.38. Worth noting that Rich was just under 2 minutes off Tim Davies’ course record whom he beat comfortably on the day by over 2 minutes with Tim finishing in 2nd. In 4th and 1st vet 40 was Eryri’s race hound Martin Cliffe finishing in 72.37. Alastair Tye has finally left hospital and gone home to further recover. We wish Al all the best on his continued recovery and look forward to seeing him out at races in the future. He will welcome any visitors. Criccieth’s Dei Ffrwythau of DJ Ffrwythau fame has been in touch noting that he’s found a Garmin on Cnicht. The watch has been used in Brithdir and on Cadair Idris whilst the owner seems to be a 43yr old male who weighs in at 82kgs and is 165cm’s tall. Get in touch if you know of anyone who may own the watch.